You care about your beautiful rugs, and so do we! At Daystar Cleaning and Restoration, we are the Rug Wash Specialists for the Bay County and South Walton County areas and are recommended by many local rug retailers. 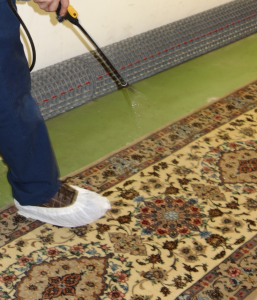 We will pick up your rug and bring it to our specialized rug washing facility where it will go through our thorough Nine-Step Rug Wash Process for maximum soil and spot removal. Learn what to avoid when choosing a cleaner for your precious rugs, and how to care for your rugs to keep them clean, fresh, and healthy in-between professional cleanings. To preserve your rugs for generations to come, see our FREE Rug Owner’s Inside Guide To Safe Rug Care & Cleaning. 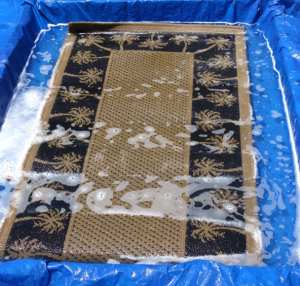 An in-plant rug wash is best for fine rugs. They should not be cleaned on location like your wall-to-wall carpeting. 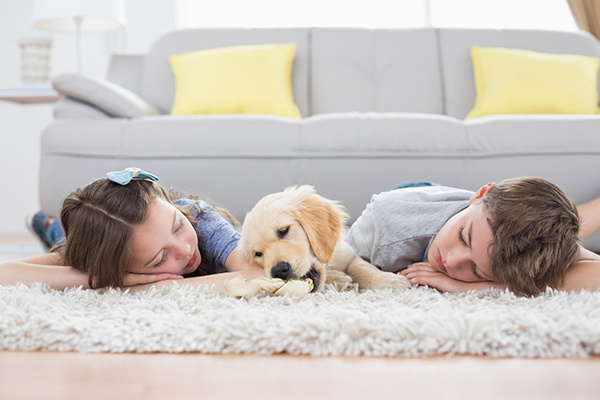 In our plant your rug will receive several treatments for a more thorough cleaning, controlled drying, and the use of various tools which are not available on location. We offer standard rug washing services as well as restoration services for rugs damaged by spots, odors, floods or fires. 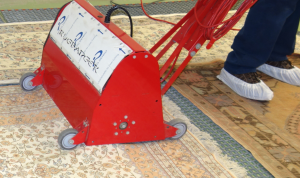 We also offer rug binding and use a rug repair specialist with decades of experience. 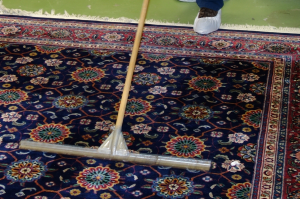 We will determine as much as we possibly can about the type of rug and inherent qualities that may affect cleaning. We will outline the expected results and cleaning “prescription.” We will come to your home to pick up your rug, or you may drop it off at our shop. Woven rugs, especially hand-knotted rugs, are designed to hide dry soil. A few years ago, the Eureka company did a study and found that a 9 x 12 rug could hide 87 pounds of dirt! We use a variety of techniques to “dust” the rugs from the front and back. A machine called a rug badger, special vacuum attachments, and many other methods are implemented. This is the most important step in cleaning any textile. We will carefully pre-test your rug for dye bleeding, and if necessary, use a special agent to prevent dye bleeding. Depending on the fiber content and soiling type, your rug will be pre-treated to emulsify the soils. Our immersion wet wash method is the most thorough way of cleaning rugs, and is also the safest method because it does not incorporate harsh chemicals or high heat, and it thoroughly rinses the fibers clean. This is unlike other cleaning methods which leave mud in the rug’s foundation, and chemical residue throughout the fibers. Once the soil is rinsed away, the rug is dried flat in a controlled environment. Proper drying is essential to avoid unnatural shrinkage. Our cleaning specialist will give the rug a final inspection and release it for pick-up or delivery. Your rug will be wrapped in paper to protect it from dust and environmental soils until it is picked up or delivered. Upon delivery, we will lay the rug for you.